Get your web, Joomla, email, or other communications issues resolved quickly. Just contact us and we'll give you a free consultation to help you find a solution. Paschen Communications, LLC and this site is not affiliated with or endorsed by The Joomla! Project™. 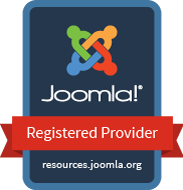 Any products and services provided through this site are not supported or warrantied by The Joomla! Project or Open Source Matters, Inc. Use of the Joomla!® name, symbol, logo and related trademarks is permitted under a limited license granted by Open Source Matters, Inc.